A display case in "Luxury" version for points of sale. 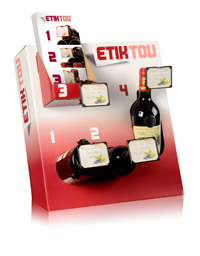 This display case can be placed on a counter with leaflets for the promotion of Etiktou products. This display case can contain 5 Etiktou boxes. On purchase of this display case, 100 Etiktou leaflets will be provided to you. The bottles and boxes are not provided. 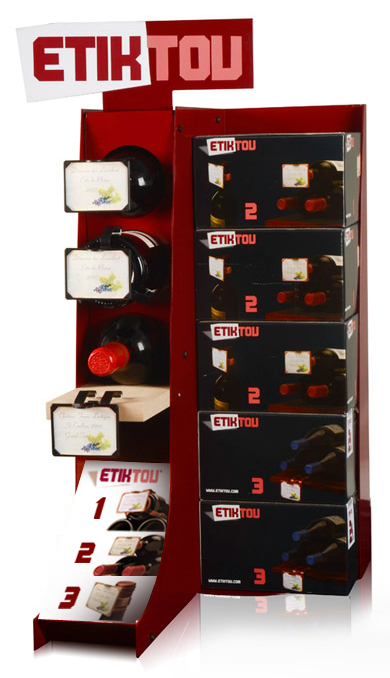 This display case is delivered to you assembled with the 3 Etiktou label supports.